This popular American-style sandwich bread is big, soft and shaped (a bit) like a submarine. Perfect for a wide variety of fillings, both hot and cold, sub rolls are an ideal solution for the schools, universities, pub chains, functions, buffets and any operators looking for delicious, alternative bread carriers. 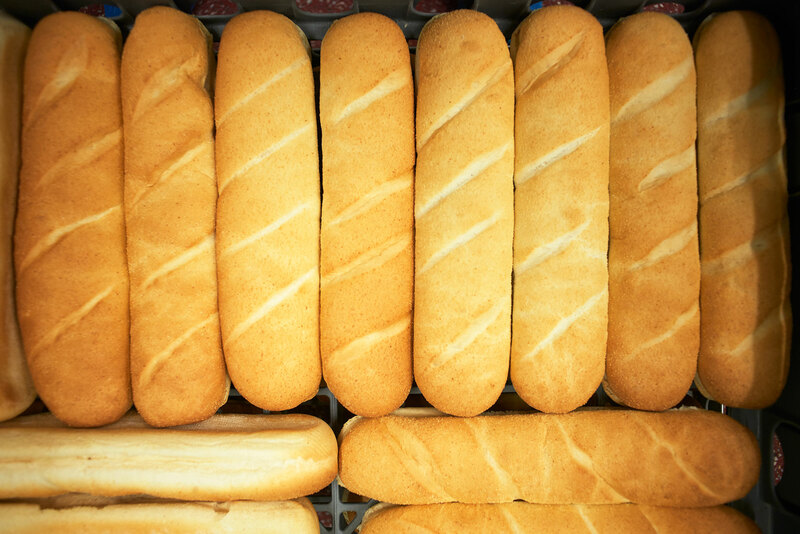 Our Big Softy® sub rolls are fully baked, so you simply thaw and serve. We make them in the classic 8-inch and footlong moulds, in a variety of flavours and toppings. We hand slice our subs, so you don’t have to, and bake them in specially designed moulds for an authentic look and feel that makes them great to eat. 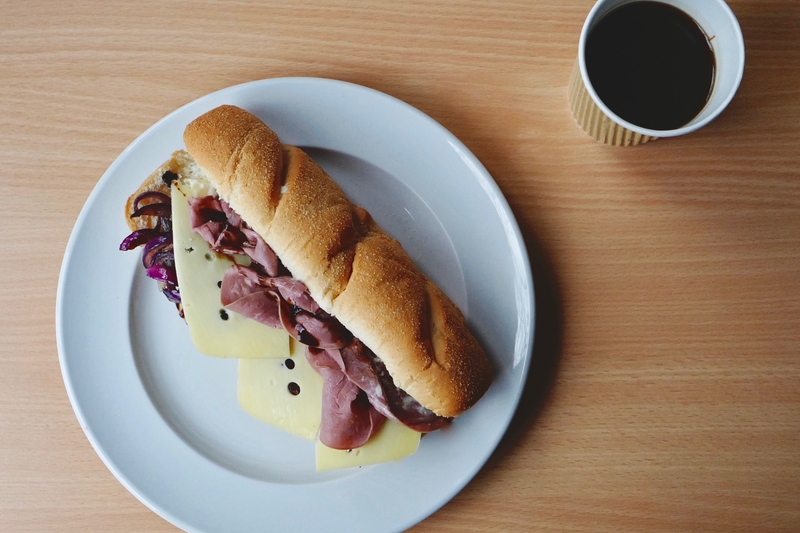 Sub rolls offer a great profit opportunity, as the trend for sub-style sandwiches continues to grow, with an ever-expanding younger market looking for alternatives to sliced bread and crusty baguettes. Whatever your sandwich fillings, there’s a Big Softy® sub roll to complement them perfectly. Garlic and oil roasted aubergines, courgettes, red onion shallots, red and yellow peppers, tofutti cream cheese, basil infused mayonnaise, crisp fried onions. Can be built hot or cold, so works as a pre-made grab-and-go or made to order using bought pre-roasted vegetables or freshly roasted. A tasty vegetarian option. Honey cured smoked bacon, fried eggs, thyme and olive oil air dried tomatoes, free range breakfast pork sausage, mayo, tomato ketchup. Great breakfast / brunch solution. Best built hot and made to order. Smoked Black Forest ham, Emmental cheese, thyme air-dried plum tomatoes, dill pickle, romaine lettuce, sweet mustard mayo. Good keeping qualities and low risk ingredients make this perfect for students to take with them on their journey home. Best built and served cold. Crisp coated fish fingers, chunky tartare sauce, roasted green pea purée, salt & vinegar grooved crisps, tomato ketchup. Best served hot. Perfect for fish and chip Fridays. With growing children of her own, our Sales Coordinator Andrea knows what an appetite hungry students can have! Our sub rolls fill a gap in more ways than one – helping caterers like schools and universities to compete with high street chains in the filled sandwich market.